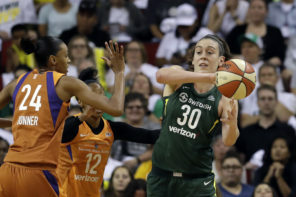 We hear it all the time – the oh-so too common rub that people on certain corners of the internet love to pester us with when they talk about the WNBA. Their attitude is that no one cares about the W and that it is not worth anyone’s time. A lot of times when we try to emerge from a bad breakup, we always want to tell ourselves that we do not care and are ready to move on to the next thing. And then when reality hits, our attitudes shift to why the breakup happened and if there is any chance that we may be able to salvage a bad situation. In other words, we tell ourselves we do not care because it sounds like the right thing to say, when we really do care. Fast forward to today on social media. You may have seen a number of news stories that have come out in recent days and weeks where it appears that WNBA players are dissing their NBA counterparts in their fight for better wages. It makes one think – why would the women of the W openly diss their NBA brethren when all many NBA players have done, such as Devin Booker who bought tickets to a Mercury playoff game, or Kent Bazemore who bought tickets to a Dream playoff game, is show love? Because it appears someone – or a group of someones – is openly trying to drive a wedge between WNBA and NBA players. 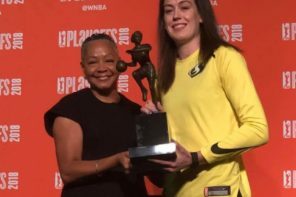 The stories and quotes being attributed to WNBA players in regards to NBA players and their higher salaries have been proven to be fake. Someone or this group of someones who apparently got dusted on the court by a group of women and apparently has too much time on their hands nowadays is spending quality time trying to make up fake quotes about WNBA players in order to dismiss their concerns about better pay and a greater share of revenues. Granted that these trolls are usually the ones that love to throw in everyone’s face that no one cares about the WNBA. But these trolls with tough Twitter fingers apparently care enough that the thought of women (majority black women) trying to improve their professional predicaments scares them to no end. So they have taken a page from He-Who-Shall-Not-Be-Named’s playbook and have started spreading f*ke n*ws about the W.
In a sense, the trolls are our best friend. These insecure haters have zero idea how much validation they are giving the WNBA right now. Not that the W needed any further validation from these keyboard tough guys, but the more the merrier and beggars cannot be choosers. It underscores that the concerns of A’ja Wilson, Skylar Diggins-Smith, Kayla McBride, and others are indeed legitimate and that the only reason they are being dismissed by certain people in the dark corners of the internet and social media is because they are women. 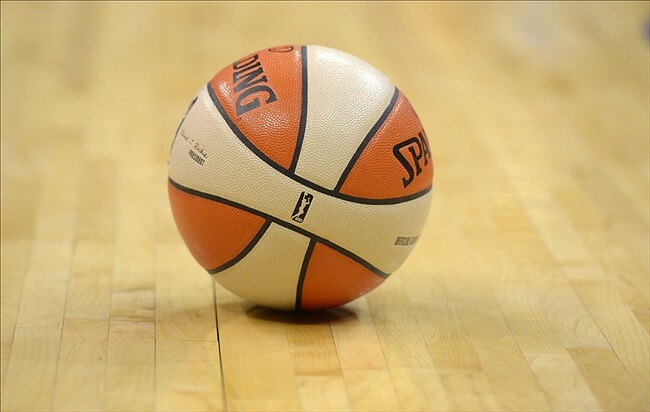 Those concerns that WNBA players have go well past what is happening with finances. There are also questions being raised about player safety as well as exorbitant travel as was displayed with the travel debacle involving the Las Vegas Aces. Sometimes, the more haters one has, the better. Anyone and everyone who has ever been successful has had their fair share of detractors—people who made it pretty close to their life’s directive to dismiss the strides those, particularly women, are making. As we wrote not too long ago, the best thing about these trolls is that it is easy for them to put down the WNBA when it is still in relative obscurity, albeit, growing. Because it is these same avatar-less accounts that will want to sing the W’s praises when (not if, but when) it reaches the promised land. They will want to board the train when it already has reached full capacity. Meanwhile, us that have followed the WNBA for a while when it was still in relative obscurity will have already boarded said train and will be riding first-class. All we can do is just sit and laugh at these trolls who think they are dismissing the voices of WNBA players when they are really simply amplifying them with their ignorance. The same people who claim relentless that “nobody” cares, “nobody” watches, and “nobody” follows. I guess they are nobodies.